Only 23% of the municipality's population live in an urban area while 77% live in the rural hinterland of the municipality. This factor has severe implications on actual service delivery and the cost thereof. Most settlements developed organically and are unplanned, lack basic services and facilities and provide limited opportunities for economic development. The disinvestment that has occurred has also resulted in a poor level of infrastructure such as roads and other basic services. Although there is land potentially available for investment, around 2 000 hectares, this is currently leased by Mondi and the opportunity is that the Lease agreement will be expiring before the end of 2008. Forestry and agriculture are the two key economic activities. The dominant farming practices are forestry, livestock farming and maize production. Many commercial and manufacturing activities have developed as spin-offs from them. There is a small manufacturing sector in Paulpietersburg/éDumbe (41 ha with 21 industrial sites), and an important informal sector providing a convenience service to the public. The Department of Land Affairs (DLA) has introduced the Land Redistribution for Agricultural Development (LRAD) programme. Some labour tenants, especially those who could be regarded as small scale or emerging farmers, should be assisted through this programme to develop into medium scale farmers. 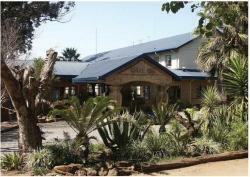 The Natal Hot Springs Resort and Conference Centre is set in 800 acres of beautiful KwaZulu-Natal bushveld. The historic spring was discovered in the 1880's and since then has provided a constant supply of the beneficial waters. The invigorating and healing qualities of hot mineral waters have been known for centuries. The waters that are found at The Natal Spa have the added benefit of being "Triple Waters" i.e. they contain carbonates, chlorides and sulphates and have a temperature, at source, of 40 degrees C. The Natal Spa was developed around this very valuable resource and has provided solace and refuge for the weary traveller since the 1890's. Dumbe Trail is a circular trail along Dumbe Mountain, which is popular with hikers. There are old coal mine shafts and abundant birdlife, including the rare Black Eagle. The Pongola Bush Nature Reserve (858 Ha) was established in 1972 to conserve the evergreen forest in this area. Paulpietersburg was established in 1888 and was then part of the Transvaal Republic. It was named after then President Paul Kruger and Voortrekker hero Piet Joubert. Paulpietersburg played its part in the military shaping of the region. The Egode River Monument commemorates the site where Louis Botha met his troops before signing the Peace Treaty that ended the Anglo-Boer War. On the 12 March 1879 Captain Mortiarty, 60 troops and a large number of camp attendants were killed, when their camp on the North Bank of Ntombe River was overrun by a Zulu Impi during the Anglo-Zulu War. The Kruger Bridge was built during the last presidential term of Paul Kruger. It is on Farms Uitval 195 and Eersteiling 690, and spans the Bivane River south of Paulpietersburg. The Library was originally the Dutch Reformed Church, to which Paul Kruger contributed financially. The British used it as an ammunition store during the Anglo-Boer war. This fine old building is a national monument. It is located at 27 Smit Street. The Old Drosty was erected in 1906 and was the first British Colonial Public Building to be built in the vicinity, at the start of colonial rule. It was declared a national monument in December 1980. It is now used by the Publicity Association. With effective, sustainable and affordable services according to the needs of its residents". 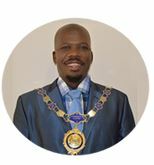 Dumbe Local Municipality forms part of the Zululand District Municipality. Towns within the municipal boundaries: Bhadeni, Bivane, Frischgewaagd, Fundukzama, Grootspruit, Luneburg, Mpemvana, Paulpietersburg, Piensrand, Siwabomvu. Dumbe is derived from the Zulu word 'Amadumbe', the name of a potato-like tuber that grows on the slopes of the mountain.